"Tom Clements was a remarkable person," Colorado Gov. John Hickenlooper told CNN. "He oversaw all of the coldest, darkest of worlds with the warmest and, you know, and most tender of hearts." Clements was shot to death Tuesday night at his home outside Colorado Springs. Ebel was killed Thursday in northern Texas after a gun battle with authorities that left a sheriff's deputy wounded. 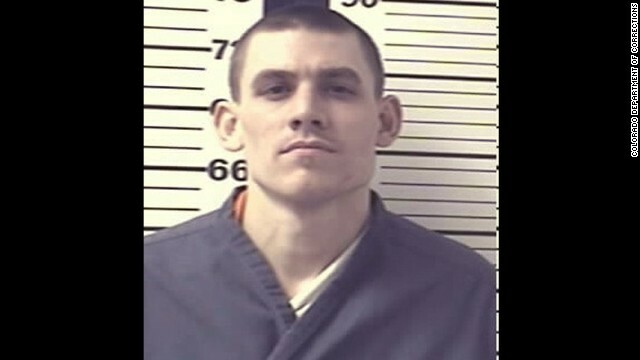 The 28-year-old was a former white supremacist gang member and the son of a longtime friend of Hickenlooper. The governor said Clements' death was "incomprehensible, but I don't think it is part of a larger conspiracy. Police also said there is a "strong connection" between the killings of Clements and the killing of Nathan Collin Leon, a Denver pizza delivery driver who was found dead in suburban Golden. I'm sure the N.R.A. (Not Real Americans ) will do robo calls in Texas and Colorado as well. NRA like other high powered lobbies are sanctified. LaPierre could put out a curse.